10 Things You Might Not Know About TOMORROW NEVER DIES | Warped Factor - Words in the Key of Geek. The distance between insanity and genius is measured only by Geek Dave. 1. 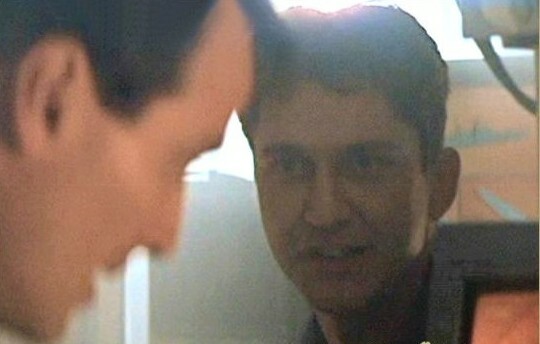 Following the success of GoldenEye in reviving the Bond series, there was pressure to recreate that success in the film's follow-up production. This pressure came from MGM along with its new owner, billionaire Kirk Kerkorian, both of whom wished for the film's release to coincide with their public stock offering. The rush to complete, what would be, the eighteenth official James Bond film drove the budget to over $110 million, almost double that of predecessor GoldenEye. 2. As there remained no Ian Fleming novels or stories left to adapt, multiple writers were approached to work on an entirely original adventure for 007. Initial writers on the project included John Cork, Richard Smith, and novelist Donald E. Westlake. In 1995 Westlake wrote two story treatments in collaboration with co-producer Michael G. Wilson, both of which featured a villain who plans to destroy Hong Kong with explosives on the eve of the city's July 1997 transfer of sovereignty to China. Westlake used some of his ideas for a novel he completed the next year, though it wasn't published until 2017 under the title Forever and a Death. Director Roger Spottiswoode said that in January 1997 MGM had a script that was also focused on the Hong Kong handover; however, this plot could not be used for a film opening at the end of the year, so they had to start "almost from scratch at T-minus zero!" 3. The man called in to start from scratch was Bruce Feirstein, who had worked on GoldenEye. Feirstein claimed that his inspiration for his script was his own experience working with journalism, stating that he aimed to "write something that was grounded in a nightmare of reality." Feirstein's script was then passed to Spottiswoode, who gathered seven Hollywood screenwriters in London to brainstorm, eventually choosing legendary Star Trek writer/director Nicholas Meyer to perform rewrites. The script was also worked on by Dan Petrie, Jr. and David Campbell Wilson before Feirstein was brought in for a final polish. Feirstein retained sole writing credit in the film and in the advertising, although Meyer, Petrie and Wilson were given credit with Feirstein on the title page of the film's novelization by Raymond Benson. 4. The title for James Bond 18 was the first not to have any relation to Ian Fleming's life or work, as it was inspired by the Beatles' song Tomorrow Never Knows. The eventual title came about by accident: one of the potential titles was Tomorrow Never Lies (referring to the Tomorrow newspaper in the plot) and this was faxed to MGM. But through an error this became Tomorrow Never Dies, a title which MGM found so attractive that they insisted on using it. "We didn't have a script that was ready to shoot on the first day of filming,"
"We had a script... [but it] ...was not functioning in certain areas." The British Press reported on arguments between Spottiswoode and the producers with the former favouring the Petrie version, but the latter reinstating Feirstein for his final rewrite two weeks before filming was due to begin. They also said that Jonathan Pryce and Teri Hatcher were unhappy with their new roles, having both signed on to play their respective parts on the strength of the Petrie scripted version. 6. Speaking of the Carvers, before Jonathan Pryce signed on for the role of Elliot Carver it was initially offered to Anthony Hopkins (who also had been offered a role in GoldenEye), but he declined in favor of The Mask of Zorro. While many reviewers compared Elliot Carver to Rupert Murdoch, Feirstein based the character on Robert Maxwell. There is a reference to the mogul's death when M instructs Moneypenny to issue a press release stating that Carver died “falling overboard on his yacht." 7. According to Pierce Brosnan, Monica Bellucci screen tested for the role of Carver's trophy wife Paris, but as Brosnan remarked, "the fools said no. "Bellucci would later go on to play Lucia Sciarra in the 24th Bond film, Spectre. Actress Sela Ward then auditioned for the role, but lost out, reportedly being told the producers wanted her, but ten years younger. Eventually they found someone seven years younger, Teri Hatcher. "It's such an artificial kind of character to be playing that you don't get any special satisfaction from it." 8. Tomorrow Never Dies marked the first appearance of the Walther P99 as Bond's pistol. It replaced the Walther PPK that the character had carried in every Eon Bond film since Dr. No in 1962, with the exception of Moonraker in which Bond was not seen with a pistol. Bond would use the P99 until Daniel Craig reverted to the PPK as 007 in Quantum of Solace in 2008. 9. In only his second credited on-screen role, future leading man Gerard Butler makes a brief appearance in Tomorrow Never Dies and gets one line as 'Leading Seaman' on the HMS Devonshire. 10. 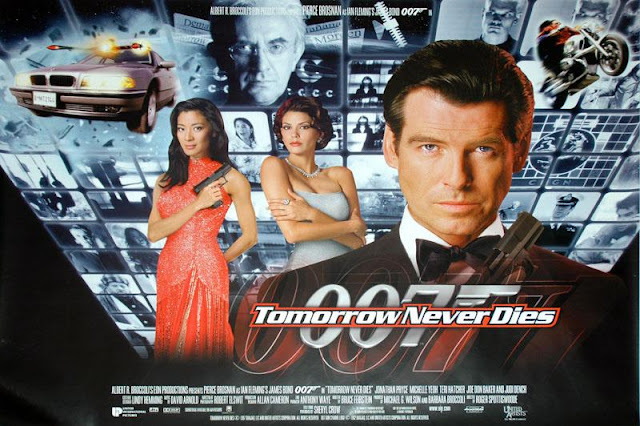 Tomorrow Never Dies was the first James Bond film made after the death of producer Albert R. Broccoli, to whom the movie pays tribute in the end credits. Upon release it performed better at the domestic box than that of its predecessor, GoldenEye, yet it was the only Pierce Brosnan Bond film not to open at number one, instead debuting at number two. The reason being, it opened on the exact same day as the movie that would go on to be the biggest grossing film of all time - Titanic!